When you go out to dinner, how much of the food on your plate do you leave behind? Or how about the leftover food you trash at home? And, what about those vegetables in the refrigerator that went bad before you ever had a chance to prepare them for a meal? The bottom line here is that we waste a lot of food. In fact, we waste tons of food; 1.3 billion tons a year, to be exact, according to a report recently published by the United Nations Food and Agriculture Organization (FAO). The report, called Food Wastage Footprint: Impacts on Natural Resources, states that the amount of water used to produce the food we never eat is a volume nearly three times greater than Lake Geneva. Not only that, but each year, it releases 3.3 billion tons of greenhouses gases into the atmosphere. Food waste impacts our climate, our water, our land use and our biodiversity. Now, there is a growing number of people who live on co-ops to limit waste, and still others that compost their waste, instead of adding it to our landfills. But, quite frankly, these just aren’t viable options for everyone. So, what can the average consumer do to reduce food waste? Well, the FAO has also released Toolkit:Reducing the Food Wastage Footprint with ideas to do just that. Here are few to help get you started. First, when you shop for groceries, use a list and stick to it. Try planning your meals for the week, and identify exactly what you’ll need. When you’re at the store, avoid the temptation to purchase what you don’t need, even if the BOGOs seem amazing. Also, you don’t need to buy the most beautiful tomatoes or apples – consider getting a few “ugly” fruits and vegetables that might otherwise go to waste. What about the fruits and vegetables that are starting to go bad in the fridge? Instead of throwing them away at the first sign of a bruise, try turning them into smoothies, or make soups. Eating leftovers is a great food-waste saver. But,what about those leftovers you just couldn’t possibly imagine eating again? If you’re not keen on eating the same thing for dinner and then lunch, and then dinner again, why not repurpose some of the ingredients for another meal? There are some great cookbooks out there that are designed with this in mind (e.g. Sandra Lee’s Semi-Homemade). You can also freeze some foods for later use. These are just a few suggestions to help get you thinking about what you can do to reduce food waste. 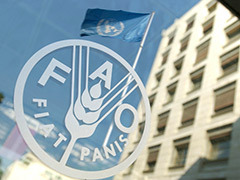 For more information and ideas, take a look at the reports and resources available at www.fao.org. The Carbon Tax Bill: Will it Help to Curb Energy Waste? Posted on September 25th under Pollution Reduction.